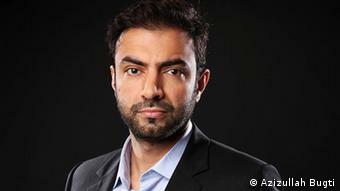 In an interview with DW, Baloch leader Brahamdagh Bugti says the recent multi-billion dollar economic corridor deal between Pakistan and China is aimed at colonizing the Balochistan province, and must be resisted. In his maiden official visit to Pakistan - which ended on April 21 - Chinese President Xi Jinping signed 51 accords to inaugurate the China-Pakistan Economic Corridor (CPEC), which will create a network of roads, railways and pipelines linking China's restive west to the Arabian Sea through Balochistan's Gwadar port. The Pakistani government says the deals will boost Pakistan's underperforming economy and generate employment opportunities in the country. But not everyone in Pakistan agrees with these claims. Some Pakistani politicians, mostly from Balochistan, said on Wednesday, April 22, that the $46 billion project had been launched for the benefit of the Punjab province - where the majority of Pakistan's ruling class as well as the military cadre come from. 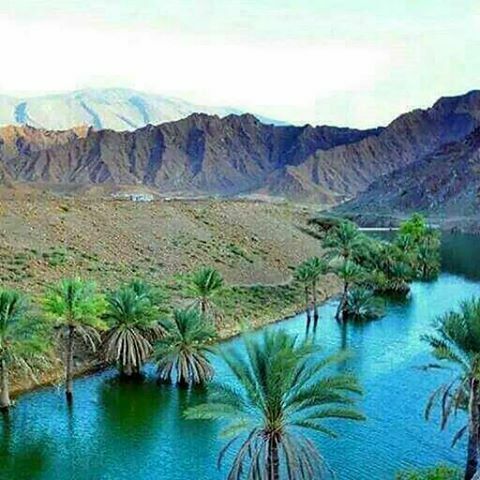 Balochistan remains Pakistan's poorest and least populous province despite a number of development projects Islamabad initiated there in the past. Rebel groups have waged a separatist insurgency in the province for decades, complaining that the central government in Islamabad and the richer Punjab province unfairly exploit their resources. Islamabad reacted to the insurgency by launching a military operation in the province in 2005. In the wake of the China-Pakistan deal, the Baloch separatists demand a share of the financial benefits for the impoverished province. Some Baloch leaders have also complained that Islamabad deliberately changed the corridor route in favor of the Punjab, avoiding Balochistan's key cities. In a DW interview, Brahamdagh Bugti, leader of the Baloch Republican Party living in exile in Switzerland, and grandson of slain nationalist leader Akbar Bugti, talks about the separatists' stance on the Pakistani-Chinese deal. DW: Pakistani officials say that the economic corridor deal with China would transform the country's economy and fortunes. Since Balochistan's Gwadar port is pivotal in the agreement, do you think the province will also get an economic uplift? Brahamdagh Bugti: None of the previous development projects in Balochistan have ever been beneficial to the province or its people. I don't think it will be any different this time around. We have been complaining for decades that Islamabad has never sought the consent of the Baloch people before initiating these projects. It is quite obvious that they are not launched to boost the province's economy or to help people out of poverty. They are started for the benefit of the rulers in Islamabad. Balochistan's provincial government has expressed reservations against the CPEC, saying it was not taken into confidence over the project. What is your take on it? Let me put it in simple words: it's not a deal between China and Pakistan; it is a deal between China and the Punjab province. We have no problem with that. The Punjab's rulers are free to do what they want. But we don't allow China and the Punjab to use Balochistan for their benefits. Balochistan is facing a military operation. People are being killed. Journalists and rights activists cannot visit the province or go to Gwadar and report from there. How can you assure transparency of any project given these circumstances? Rights groups accuse Pakistan's security forces and intelligence agencies of playing a part in kidnapping dissidents and separatist activists from the province on a regular basis. Some analysts now say that the China-Pakistan deal could spur rights abuses in Balochistan in the name of ensuring security. Do you agree? I think there will be massive human rights abuses in Balochistan because of this deal. 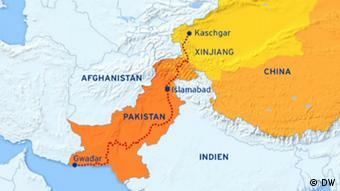 To secure their financial interests in the province, Islamabad is likely to intensify its military operation there. They will do so in the name of providing security to the multinational and Chinese companies that are investing in the project. They would not even allow peaceful demonstrations and protests against the CPEC. Isn't there terrorism in the Punjab, in Karachi, and in other parts of Pakistan? But are there people attacked by helicopters like the residents of Balochistan? No. Do you discover the maimed bodies of missing people in other provinces on a daily basis? No. The Taliban have madrassahs in the Punjab Province. Does Islamabad take any action against them? The answer is again, no. There can't be two laws and two systems for the privileged and the underprivileged in the country. We have no expectations from the provincial government that it will talk to Islamabad on behalf of the Baloch people. Everyone knows how the lawmakers get elected to Balochistan's provincial assembly. It's a sham process. Prime Minister Nawaz Sharif's government in Islamabad decided to change the corridor route some time ago, diverting it away from some key cities in Balochistan. What was the reason behind the decision? I think they did so to reduce perceived security threats to the project. It hardly matters to Balochistan. Even if they had kept the major Balochistan cities on the route, it would not have brought any prosperity to them, in my view. For instance, the Pakistani government claims it has started development projects in Dera Bugti to bring wealth to the town. But it is not the case. On the contrary, the paramilitary forces are bombing the area to crush dissent and protect Islamabad's interests. But the Pakistani government says the Baloch leaders are blocking economic progress of the province and country? I would ask this: What would our people have received from Islamabad had we remained silent? Some clerical jobs? We don't want to be the gatekeepers of gas pipelines; we demand a fair share of the wealth for our province. Because we are not giving up on our demands, the authorities are bringing in workers from the Punjab to work in our areas. 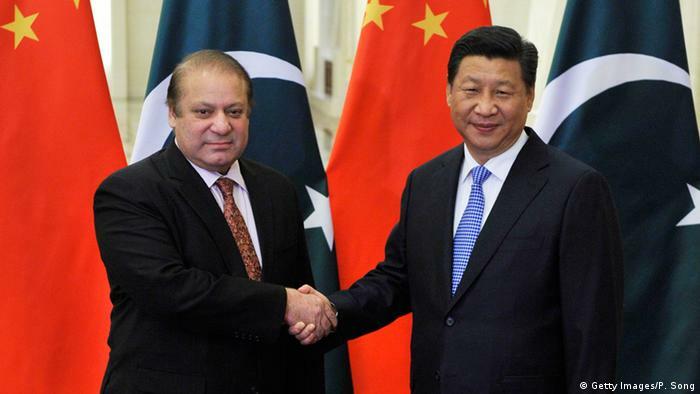 None of Pakistan's major political parties, including the liberal Pakistan People's Party (PPP), the Muttahida Qaumi Movement (MQM), and the Awami National Party (ANP), have raised any major objection against the Chinese-Pakistani deals. It seems you have been isolated in your cause? None of these parties have any interest in Balochistan. The only interest they have is in exploiting Balochistan's resources and conquering its land. The Punjabi elite want Balochistan's wealth minus the Baloch people. Since you oppose the economic corridor project, how will you try to stop its implementation? I have been advocating a political solution to the conflict since the time when my grandfather Akbar Bugti was killed by the Pakistani military. We will launch an international campaign against the exploitation of Balochistan. We won't allow our land and resources to be used for the benefit of another country. The interview was conducted by Shamil Shams.